Could you send me a link on the documentation for the 911 3.2 version of this product? I tried looking for it on your website, but found a non-English page and got lost. If you PM me your email I can send you installation instructions. What do you notice in way of improvement when going from batch fire injection like a standard 3.2 in your P'nP setup to full sequential injection by adding a supplementary injection harness to wire each injector separately? Is the P'nP setup shown 1250 euros plus postage? Yea, it is 1250 euros but shipped. No additional postage cost. There's not much benefit unless one uses big injectors. Then it is possible to time injection as pulses are short enough (otherwise pulse is so long that it does not matter). 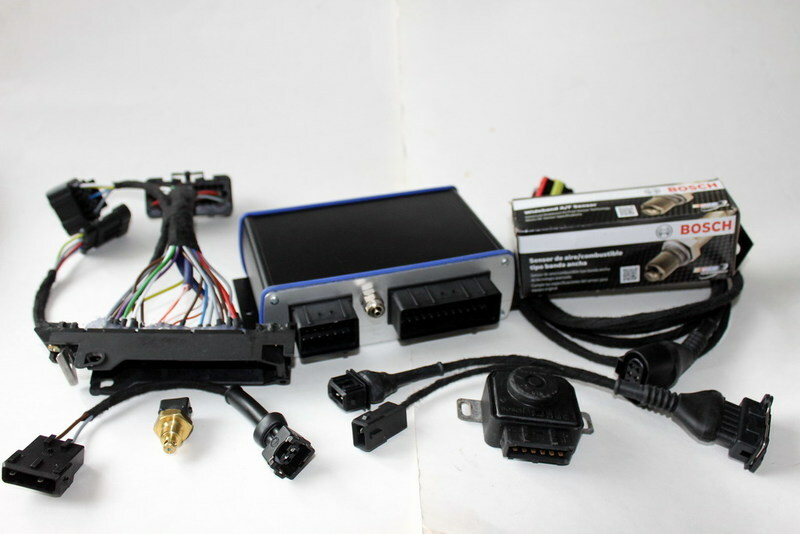 Additonal harness only is not enough, you would need cam sync sensor as well (but it is possible, VEMS has up to 5 trigger inputs). Without cam sync you can still fire injectors sequentially but the injection is not timed.